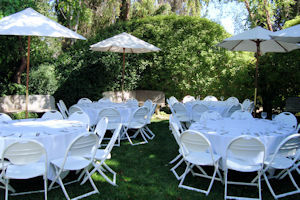 Situated adjacent to a stunning collection of beautiful gardens, Cambria Pines Lodge provides unique accommodations in a breathtaking natural setting. It's also conveniently situated near the area's top points of interest and located near California Highway One (CA-1). From local wineries and historical structures to premier shopping, golf, and outdoor recreation, you'll find all the best attractions within easy reach of your spacious, fully equipped room. 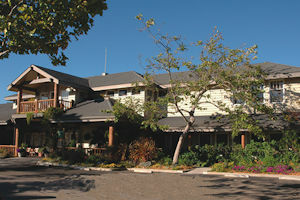 Center your Western California experience at our rustic hotel and enjoy close proximity to the best of Cambria. 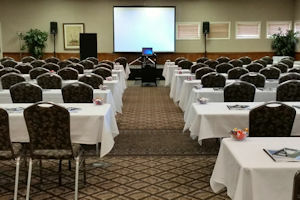 Note: San Luis Obispo Amtrak station is located 3 miles from the airport on the way to Cambria Pines Lodge for those who would prefer to take Amtrak. Follow directions above from Santa Rosa Ave. Car rental is the best option from all airports except San Luis Obispo County Airport. Shuttle service options from San Luis Obispo County Airport must be contacted directly for a price quote, as rates are not available on the shuttle websites.